Lavender Wyandottes are now a standard colour and can compete for the highest of honours at shows. 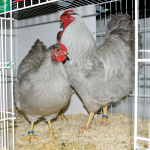 The large fowl came about through the tremendous efforts of Allan Brooker, who obtained a cross-bred fowl that Priscilla Middleton had used to begin her line of Lavender Orpingtons. He then spent many years breeding to his Black Wyandottes and carrying out several sibling matings to achieve his goal. 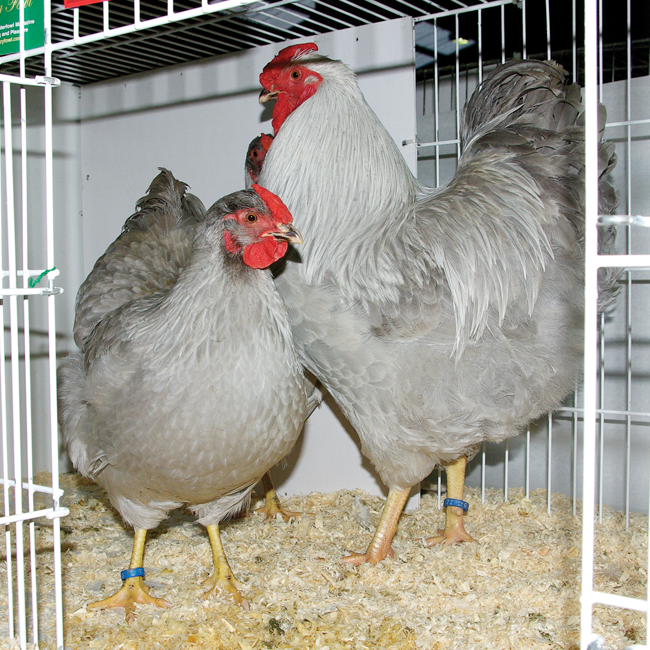 The bantams may be attributed to several people, but breeders worthy of note are Margaret Withy, Kerry Wilson and Richard Davies (who also created the Chocolate Bantams). The Lavender is NOT a lighter shade of the Blue Wyandotte. It is genetically different and is of a more silver tint, without the darker shade associated with the normal Blue. The silver tint is more pronounced on the neck and saddle hackles of the male. All other parts to be an even shade of Lavender. Feathers to have a lavender shaft. The under cololour to be Lavender – as close to the top colour as possible. Legs and feet bright yellow. Beak yellow with some horn shading allowed. 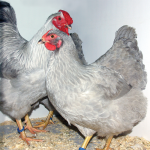 Serious Defects: Feathers on toes and shanks, Feathers showing any other colour than Lavender. Unevenness of shade. Dark shafts (quills), dilute blue.